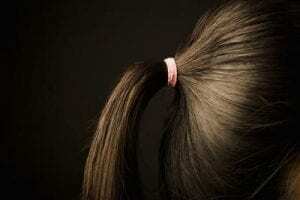 Home » What is Damaging Your Hair? Is your hair not quite as healthy as you would like it to be? Or maybe your hair is incredibly healthy, but you would like to know how to keep it that way. I am going to explain some reasons why hair can become fragile and broken and a few tips on what you can do to avoid damage to increase the health and appearance of your hair. Here are the top causes of damage to hair that we have experienced and help our guests with regularly at Inspire Salon. I put this one first because the amount of people who have their hair colored these days far outweighs those who don’t. I also chose to put this one first because other sources of damage I will talk about later can be more harmful if you color your hair. I don’t want to freak you out by saying that all color damages your hair because it doesn’t, but going lighter can be especially hard on your hair. The videos you see of people who have melted their hair off by trying to bleach their hair at home are real and can happen quicker than you think. So of course as a hairstylist with 16 years experience I am going to tell you that choosing an experienced colorist is important if you decide to go lighter with your hair. If you choose to go down the path of highlighting, balayage or maybe even the infamous Kim K. Platinum blonde you have to come to your appointment with an open mind and realistic expectations. Your investment goes far beyond just the time you spend in the chair receiving your service. 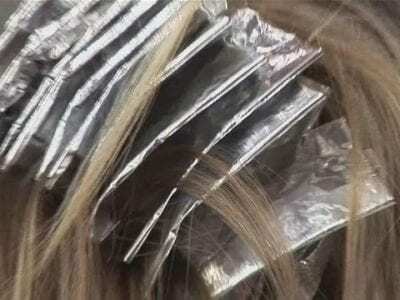 Your newly lightened locks could show damage 6 months later from improper home care and maintenance. Without going off track into another topic entirely I need to say how important it is to find an experienced stylist you trust. That way when they tell you that it is imperative that you get a conditioning treatment at each appointment and that you need to be using reparative products on your hair at home, you will understand they are trying to help and not just trying to sell you something. This can be caused by a blow dryer, curling iron, or flat iron. Anytime you expose your hair to heat it can compromise the integrity of your hair (I could have just said damage it, but I wanted to sound fancy). This is especially true for highlighted/lightened hair. Here are some ways to help prevent heat damage. Limit the amount of times you use heat on your hair. Experiment with different ways of styling your hair that don’t utilize heat. Try using some Dry Shampoo like Aveda Shampure Dry Shampoo so you don’t have to wash your hair everyday therefore not having to blow dry or curl/straighten everyday. One question I receive a lot from clients is “what temperature should I keep my curling/flat iron set at?” My best answer is to keep at the lowest temperature that allows you to only pass over your hair one time. 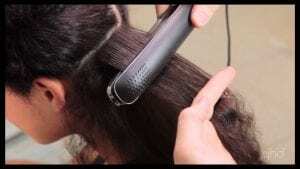 If you have it set at a low temperature but are passing it over the same section of hair multiple times you might as well turn it up a little higher. It will also save you time. Not all tools have the option to change the heat settings. I usually recommend them for fine hair or hair that is easily damaged so you can better control the amount of heat you are putting on your hair. I could go on and on about this source of damage in particular, so let me wrap it up by saying that along with the right protective products and proper use of your heat tools, getting regular trims is an absolute must. I could and probably will write a whole other blog about that. This one may throw you for a loop, but as soon as I bring this to someone’s attention they get it quick and it makes sense. If you are pulling your hair back everyday or even every other day in the same spot with a tight rubber band it will cause friction over and over and cause breakage. Most of the time people are baffled by this type of breakage because it is not on their ends, but farther up where the ponytail holder sits when you have your hair pulled back. One of the biggest surprises to me ( because I have short hair) was to find out women sleep with their hair pulled back! The thought of that ponytail holder running back and forth on the hair as you toss and turn on your pillow makes me cringe. So solutions if any of these apply. Here are a few. Go buy a scrunchie (if you don’t know what that is Google it and I would assume you were not a child of the 80’s) Someone needs to bring those back. So much better for your hair. But seriously pull your hair back in different places on your head, use something different besides a ponytail holder. Maybe a clip or some bobby pins. 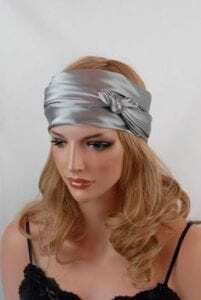 If you sleep with your hair up try using a cloth headband to keep your hair out of your face or a head wrap instead. Hopefully this has answered some of your questions and given you some tips to help prevent and treat damaged hair. As always, the Team here at Inspire Salon is always ready and willing to help you out with any and all your hair needs!